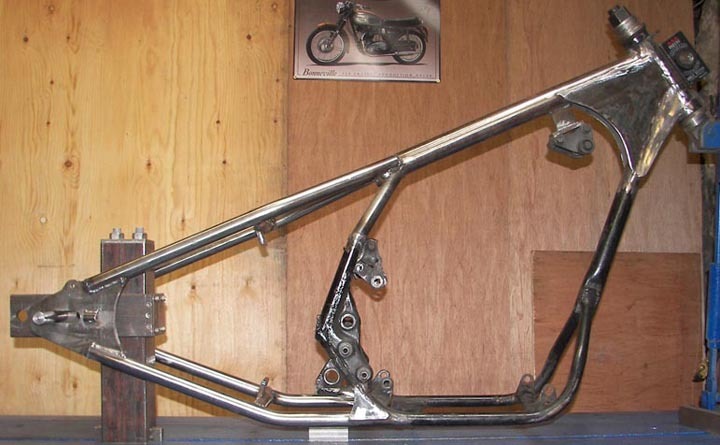 This is Jay's Yamaha XS400 frame that I built and welded a hard tail onto. I also replaced the tank tubes with a single one and raked the steering head out to 40 degrees. 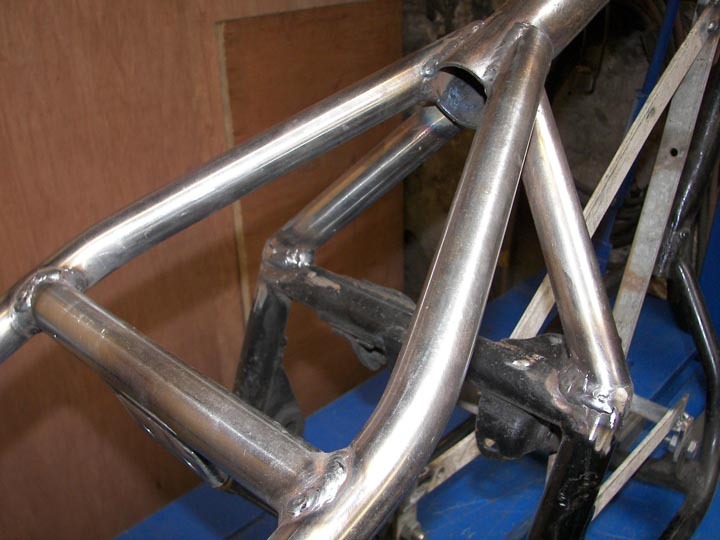 Above & below are close-up pictures of the modifications done to the XS frame. 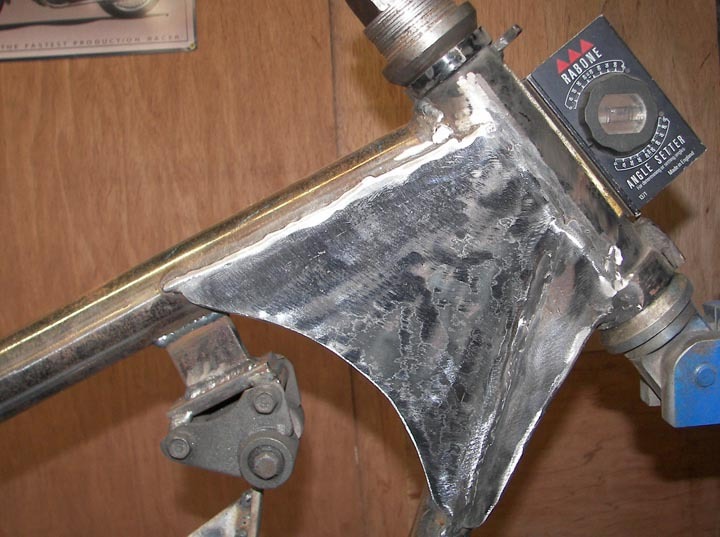 The bracket at the bottom of the steering head was constructed similar to the original, which had to be removed to rake the frame. 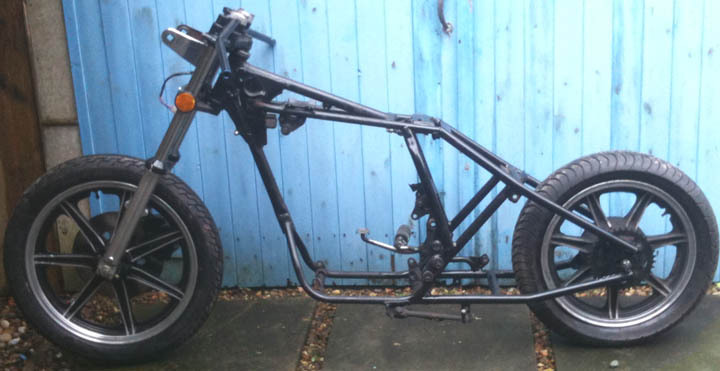 Jay the owner of the XS sent me these 2 pictures of the bikes rolling chassis. One before he sent the frame to Chopperz, and one after he got it back. I look forward to seeing photos of the complete build. While I was making this Yamaha XS400 hard tail I made a video of it, you can watch it on the video page.